Last year, State Senate Minority Leader Len Fasano and I submitted a proposal to recognize and bring awareness to the patient suffering associated with a diagnosis of spinal muscular atrophy with respiratory distress, or SMARD. Like most people, I had never heard of SMARD until I met a very brave North Haven boy named Hunter Pageau and his dedicated mother Sharon Agli-Pageau, who together have worked to educate and raise awareness of this serious condition. Because of Hunter’s inspirational efforts, legislation passed both the House and Senate last year that would designate every 10th of February as SMARD Awareness Day. This legislation was a critical first step towards beginning to spread awareness for SMARD. However, our job is not done yet. We must now continue to raise awareness for SMARD, and begin working to increase research efforts for a cure. 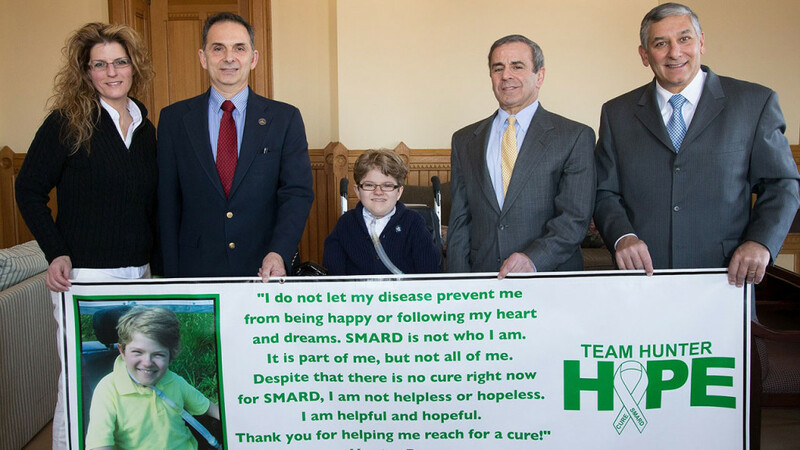 By increasing awareness, Connecticut is increasing our support of families and individuals impacted by rare diseases like SMARD. I am proud to have met Hunter Pageau and his family, and call them friends; their efforts to educate and raise awareness will surely leave a lasting impact on the efforts to find effective treatments for this serious condition.